“I come to classes 3-4 times a week, I work hard, I move the most weight I could possible move, what more do you want from me?” What I want is for you to do it better. I want you to be relentless in your pursuit of fitness and I am going to be relentless in helping you achieve “better”. There is ALWAYS something we can improve upon and something we can do better! This cue, along with many others you have heard me say a thousand times…I may even give you the same cue a thousand times in the same workout! You may get tired of hearing it and that’s ok. I’m never going to relent and you really don’t want me, because if you didn’t want to be better you wouldn’t be here. Each of us is seeking an awesome and healthy lifestyle and it feels good to be a hundred times stronger and faster than our peers. I know I relish in it personally! Well, you didn’t get where you are without being relentless in your pursuit, nor did I.
I’ve had several CrossFitters for many years and it’s awesome to have so many CrossFitters long term, but no one moves perfectly, including me! I am always going to do my best to get a little bit more out of each and every one who enters in my classes, including (and most especially) the veterans! If you look awesome in a workout, you probably won’t get a gold star, I’m probably going to try to get a little bit more out of you and I am going to expect you to try to get a little more from yourself. I understand that some days we are just at a point where we can’t move any more weight for the day or we can’t seem to move faster in a workout. What I want you to do is just move the weight or yourself, better. Get tighter, brace harder, twist more….you get the idea here. When you don’t push yourself to be better, then what you’re doing is allowing complacency to set in. You’ve told yourself that you’re ok with mediocrity and you’ve gone so far as to allow yourself to even believe that you can’t be better. Once we settle in our mind to the thought, “I just can’t do it.” You’ve started the slow descend into death. Death of your mind comes first, then it takes over your body little by little until you’ve talked yourself into staying on the couch…or worst, returning to the couch. I often find myself giving cues only to watch them come out of my mouth and drop onto the floor. There have been a few days recently where I felt invisible. It is imperative that we have good ‘coach/athlete’ communication. There is nothing more frustrating than a coach giving a cue and feeling like we’re being ignored. If the cue isn’t understood, then state so as no one is a mind reader. It is often said that the best cues are quite simply…the ones that work. If we seek everyday to be just a little bit better than the day before or the week before, then at the end of the month we can look back over that month and feel very good about our progress. This progress may be very subtle and you may be the only one who notices but isn’t that what matters most anyway? 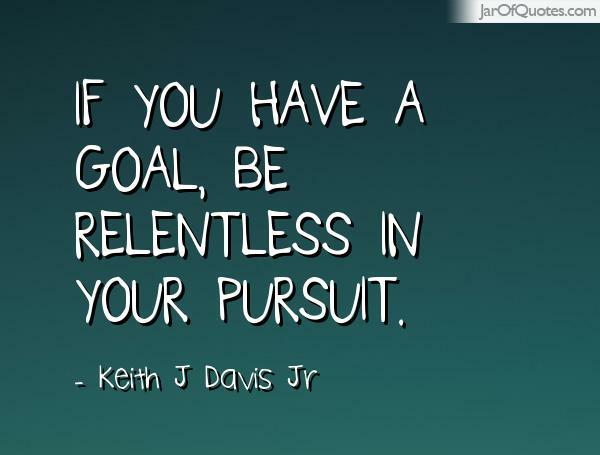 Stay relentless in your personal pursuit because to be awesome, is to be better!